In the future, even inanimate objects will be squawking for your attention. Let’s give them something interesting to say! We experiment with site-specific storytelling. 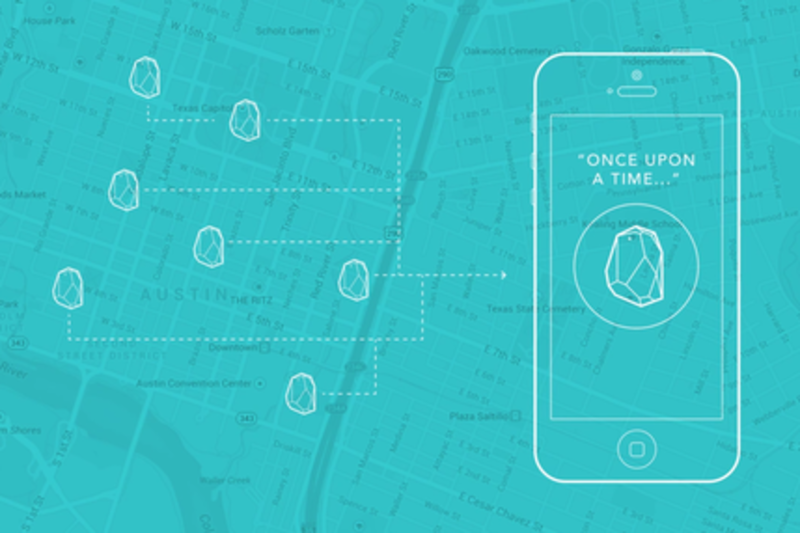 Asunder is an Austin-based mobile app that uses iBeacons for non-linear hyper-local stories. Two projects in Amsterdam are the HearUsHere augmented audio platform and a museum project that unlocks the stories of Dutch Golden Age paintings. Join us as we build the future of storytelling by re-purposing the IoT for the public sphere. Lisa B. Woods is a UX designer who enjoys the full range of the design process—from research and insights, to concept development, to implementation and branding. She earned her MFA in Design from California College of the Arts in 2013. Her thesis at CCA focused on exploring how digital platforms can enhance the creativity of everyday people. This work is rooted in Lisa’s belief that everyone is creative and has a story to share. Lisa is excited to see that design is shifting away from generating closed artifacts and moving toward making more open and collaborative systems that flex and adapt to people's needs. Sam Patteson was born and lived most of his in the bucolic and isolated life Shenandoah Valley near Staunton, Virginia. He has only recently moved to the hyper-color world of Austin, Texas. He has had many different jobs in his professional life including coppersmith, construction worker, bartender, door-to-door vacuum cleaner salesman, newspaper editor-in-chief, and most recently, lead mobile software engineer at Rosetta Stone. He has degrees in Computer Science and Writing, Rhetoric, and Technical Communications from James Madison University. He has written several full length plays and enjoys the art of theater.